Ken Mehlman has spent two decades at the highest levels of government, politics, and business. A member at KKR, Ken is also a trustee of Mt. Sinai Hospital of New York, Franklin & Marshall College, and the American Enterprise Institute’s National Council. Ken Mehlman is a member at Kohlberg Kravis Roberts & Co Inc., helping KKR assess and improve the companies in which it invests by better understanding and managing geopolitical risk and engaging with their key stakeholders. Ken also oversees the firm’s global external affairs activities, including corporate marketing, regulatory affairs and public policy & communications. 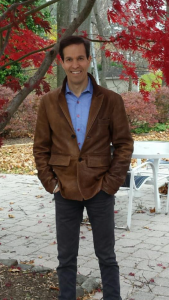 Find out more about Ken Mehlman by reading his biography or his recent appearances in the news.